I loved Burroughs as a teen especially John Carter of Mars and Tarzan of the 🦍. I read at least half of the 30 or so Tarzan stories, in a cheap paperback publisher that fell apart after the first three or four reads. And yes, there was an offensive evolutionary hierarchy rampant in the stories but with damsels to rescue and villains to vanquish I confess i guiltily read on with barely a nod to this. And if the females had to be repeatedly rescued, the accompanying males didn’t compare well next to the Apeman either. Yes, I think Rafa would qualify, you might have much competition for the role of Jane though 😉 I must read at least one of these at some point. You know, I can definitely see Rafa in that role, FictionFan! In all seriousness, it’s interesting how this story has captured our imagination for over 100 years. There is just something about the story, isn’t there? It is, purely and at its core, an adventure – an exotic adventure. What’s not to love? Burroughs is a testimony to how good an imagination can be if it’s exercised. And we get that through reading! 😀 It makes me sad when people proudly proclaim they don’t read books. But when asked to tell even a basic story, they don’t know where to start. Okay, I’ll get off my soapbox. Absolutely! And also a testament to the fact that it’s not always necessary for books to have a message or deep meanings – sometimes a romping adventure is enough! This and the Cowboy and Indian stories of Winnetou were my childhood fodder. I did play the damsel in distress scenario for my little male friends to rescue me in my unenlightened youth (I found it quite restful not to have to run around quite as much and fight etc., merely yell for help). 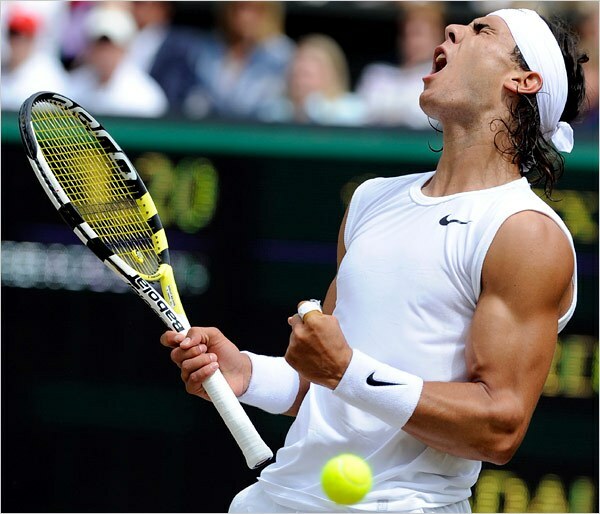 Well, the chief saving grace of this is that lovely photo of Rafa! That said, I’m not entirely sure I want to wade through the black mammy, apes, and such. I suppose this is good for “mindless entertainment,” but it’s not really my cuppa. By the way, did you get ICE?? The Weather Channel showed a photo this morning of some spot in your part of the world that was frozen over! Haha – but it’s so much fun imagining Rafa every time he describes Tarzan’s amazing biceps and sinews and thighs… 😉 It is freezing here! We had freezing fog for most of the day – T&T point-blank refused to go out in it – and the paths are really treacherous after yesterday’s snow being iced over. But I don’t know if it’s expected to last – hopefully not! Brr, I feel for you. Our snow has mostly melted off, but the below-zero temps are headed our way. Time to stock up on hot cocoa!! bhaha I’ve never seen such a hilarious use of the crossed-out text. Well done FF!!! This was one of my first downloads when I got my original Kindle (it was free, I think), yet I’ve never bothered to read it. Perhaps I should! 😂 I’m not easily offended, so I’m sure I’d find much of it hilarious, too. Great review, FF! I’m glad you had so much fun with this. Your enthusiasm is infectious. Very insightful review 🙂 I haven’t read this one but I did read the first John Carter book and enjoyed it. Want to pick up more Burroughs soon (ish). Great review! 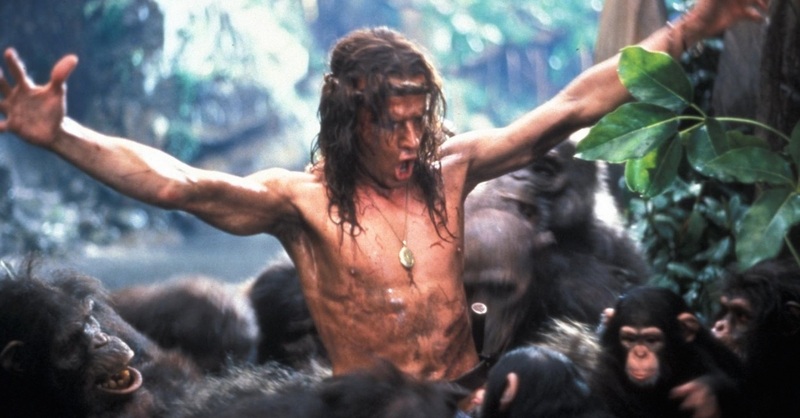 It is interesting that even with all the racism and sexism, the story of Tarzan keeps being remade and retold. It would seem that humans really want to believe that there’s something innately superior about ourselves. I really don’t know what to say – I’m breathless! What a wonderful review of a book I simply would not have considered reading and yet, you somehow convinced me that this is a massive error on my part! 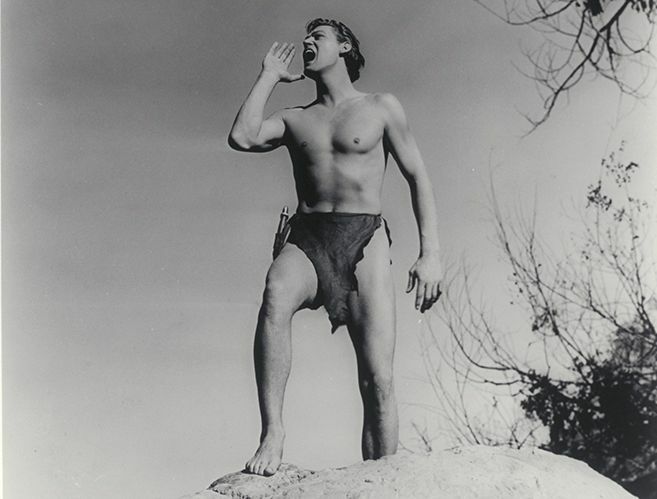 What I do like is your pragmatic approach to the elements that are obviously more problematic now than when the book was written and of course in particular the killer phrase – But frankly, girls, when you have Tarzan looking out for you, how evolved do you need to be? Wow! I have to admit that I laughed rather loud at reading some of those segments from the book. It almost reads like what I imagine a modern parody would be. I so loved reading this review, FF. I wish I had time to read all of them! I have to agree with you – I often find the sexism in older books hilarious rather than offensive. Might as well laugh at it! I have read it numerous times without getting bored. When it comes to pulp, Burroughs is difficult to beat. I have an old copy of the book. The new Oxford World’s Classics cover looks so awesome. I only discovered Burroughs a couple of years ago – don’t know how I missed him till now! So I’ve been having a lot of fun reading the Barsoom books and now this. Sometimes all you really want from a book is an exciting story and a bit of fun, and Burroughs is brilliant at providing that! Yes, I love the cover too. I love the OWC books altogether – the little introductions they provide give just enough information for my taste.